You must sign into your myHangout account in order to contact tjolson81. 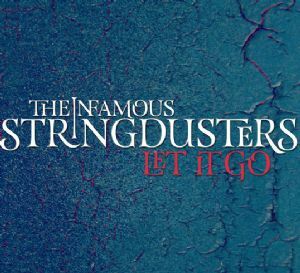 If you’re a fan of the Infamous Stringdusters, you need to buy their latest album, Let It Go. If you’re not familiar with the band but love bluegrass (and consider yourself open minded), you owe it a listen. The album starts by building up a nice drive on I’ll Get Away and goes strong all the way to the final title track. Throughout the album the band showcases excellent songwriting and musicianship. Most of the songs are the upbeat numbers we've come to expect from the band, with a nice dabbling of slower songs and a few ballads. One of my favorite things about the band is their excellent use of space and dynamics. They don’t rush, they hand off leads tastefully, and sometimes they just let there be silence. This creates very emotional music by instruments not always considered touching. That’s not to say the album is perfect: there’s a song or two that didn’t work for me (and a song that overused the word “Rainbow” a little more than I’d like to hear). Nevertheless this album has been in heavy rotation for weeks. Although the band has transformed style some over the years, their sound is unmistakable. Chris Pandolfi’s banjo playing is so superb on this album it makes me speed home to grab my banjo every time I flip it on. 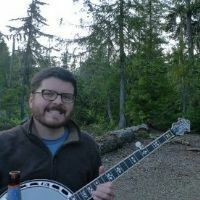 He incorporates his sound so seamlessly with Andy Hall's Dobro and Jeremy Garrett's fiddle, I often have to stop and listen to hear who has taken the lead. The band plays like they've been playing music for decades, despite their young age. So if you’re looking for something new I encourage you to give this album a listen. It's not JD or Bela or Tony or Noam, but still immensely enjoyable music. tjolson81 has 32 friends. View entire friends list.